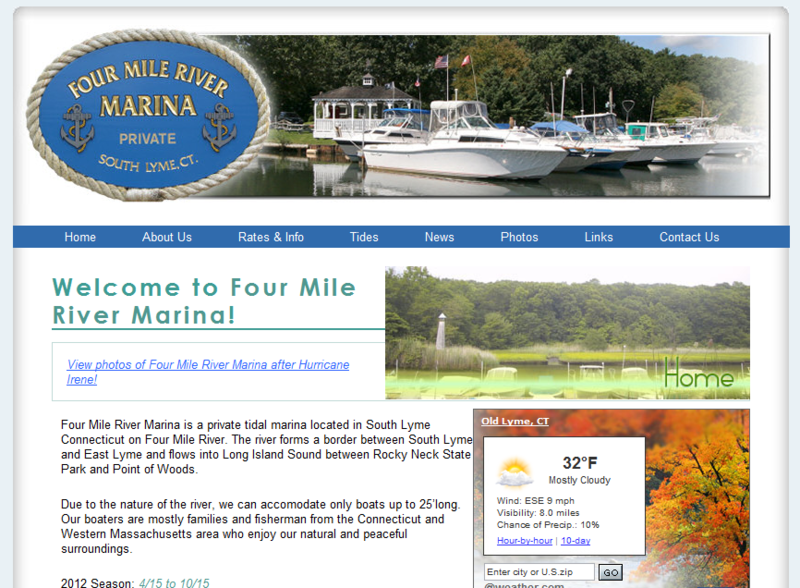 Four Mile River Marina is a private tidal marina located in South Lyme Connecticut on Four Mile River. The river forms a border between South Lyme and East Lyme and flows into Long Island Sound between Rocky Neck State Park and Point of Woods. Besides the beautiful scenery surrounding Four Mile River Marina, boaters can enjoy a gazebo, picnic area, free parking, clean restrooms, shower, a convenient launching area, and a friendly atmosphere.